It can be hard to grasp the fundamental concepts of evolution because of the vast timeframes involved. But there are dedicated scientists who, after years of study in the Galapagos Islands, have actually observed evolution in action through the emergence of new species of finches. 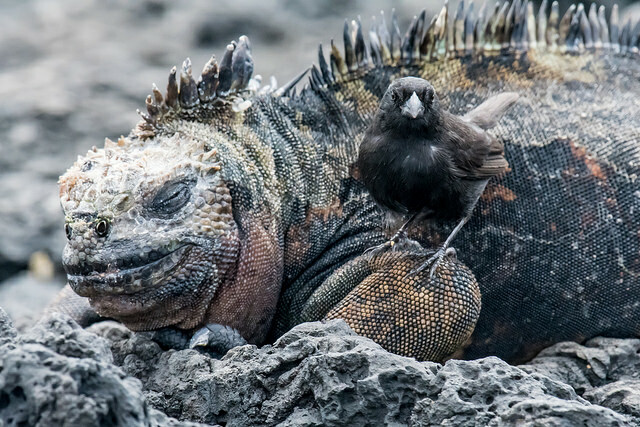 On the battlefield, evolution occurs even faster and we don’t even have to travel to the Galapagos to see it. 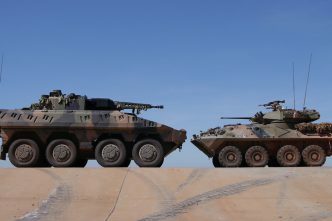 There was plenty of evidence of evolution in action at Land Forces 2018 last week in Adelaide, both on the floor of the industry expo and in the Australian Army’s presentations. 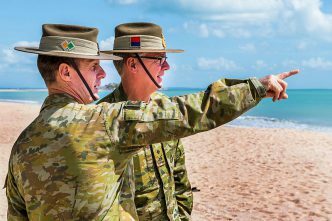 As Chief of Army, Lieutenant General Rick Burr continues the cerebral legacy of Angus Campbell, and there are many encouraging signs that the army is creating the intellectual ecosystem it needs to think through how it responds to a changing world. Adelaide was full of examples of innovation and creative thinking. It would be hard for even the most cynical not to be impressed by the Aussie innovations that were on show, such as the integration of a phased-array radar designed and built by Canberra’s own CEA Technologies onto Bendigo’s Hawkei protected vehicle as part of the Department of Defence’s short-range air defence project. 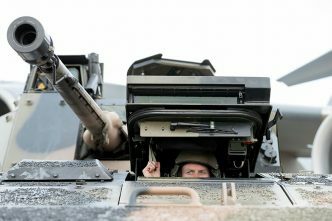 It’s encouraging to see the enthusiasm with which the army is embracing uninhabited systems, or drawing on its entire workforce to get ideas about how to meet the challenges of the future. 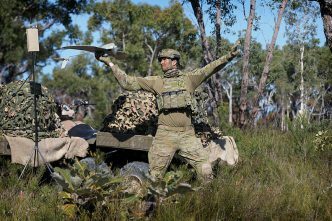 With the proliferation of unmanned aerial systems, it was inevitable that there would be a large number of counter-UAS technologies in Adelaide, both sensors and ‘shooters’ (noting that many of the shooters don’t use old-fashioned kinetic energy). So it wasn’t surprising to see the launch of a prototype integrating a counter-UAS system into a Bushmaster. This increase in complexity results in increasing costs (chapter 7), generally at a much higher rate than inflation. Even with the growth of the defence budget to 2% of GDP, keeping up with increasingly broad capability requirements without sacrificing depth (or mass) will be difficult. 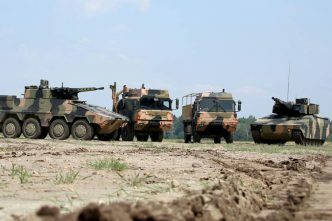 Similarly, the 2016 defence white paper gives the army only a modest increase in manpower to operate that broader range of capabilities. Regardless of the total number of people in the army, the increase in niche roles means more specialised but potentially fragile trades (as the navy has experienced in its submarine workforce). And I haven’t mentioned capabilities promised in the white paper which the army has never operated, such as anti-ship missiles and long-range strike weapons. That will draw it into habitats traditionally populated by the navy and the air force.